Here is an uplifting and fascinating Christmas special. 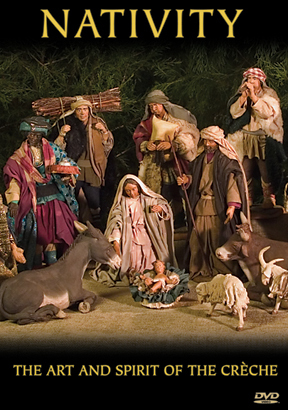 After the cross, the Nativity scene is Christianity's most recognized symbol. Its history, art and spirituality have been embraced by cultures around the world for nearly two thousand years. This video unites theologians and collectors with an astonishing and beautiful array of nativity scenes collected from across the globe. NOTE: DVD wrap indicates closed captioning, but the program is SUBTITLED, not CLOSED CAPTIONED. You must access subtitles via DVD remote.